In recent decades the Internet has played what may seem to be a unique role in international crises. 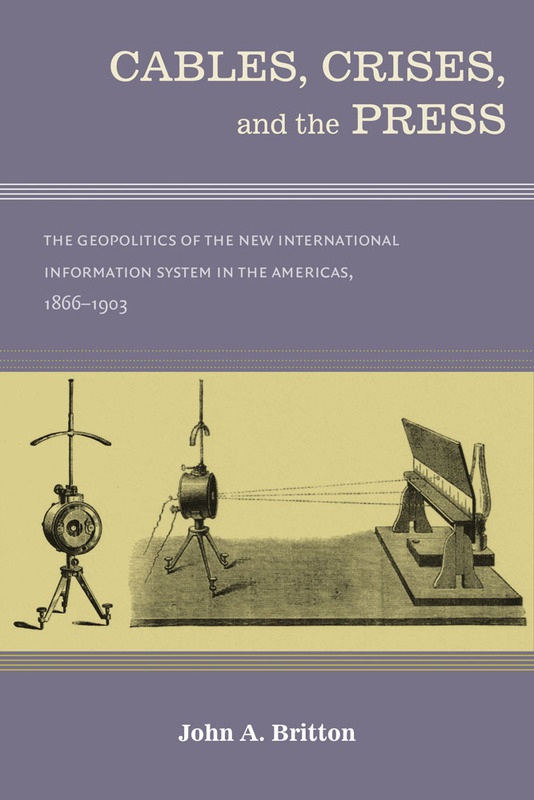 This book reveals an interesting parallel in the late nineteenth century, when a new communications system based on advances in submarine cable technology and newspaper printing brought information to an excitable mass audience. A network of insulated copper wires connecting North America, the Caribbean, South America, and Europe delivered telegraphed news to front pages with unprecedented speed. Britton surveys the technological innovations and business operations of newspapers in the United States, the building of the international cable network, and the initial enthusiasm for these electronic means of communication to resolve international conflicts. Focusing on United States rivalries with European nations in Latin America, he examines the Spanish American War, in which war correspondents like Richard Harding Davis fed accounts of Spanish atrocities and Cuban heroism into the American press, creating pressure on diplomats and government leaders in the United States and Spain. The new information system also played important roles in the U.S.-British confrontation in the Venezuelan boundary dispute, the building of the Panama Canal, and the establishment of the U.S. empire in the Caribbean and the Pacific. John A. Britton has taught courses in Latin American, United States, and world history at Francis Marion University since 1972.